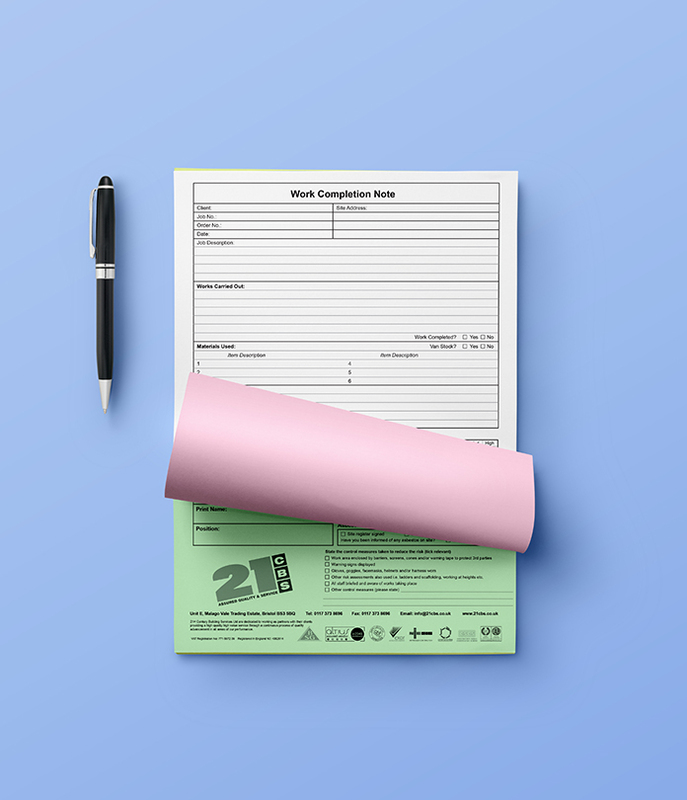 NCR pads take away the need for fiddly sheets of carbon when wanting to produce triplicates of forms. Available with a selection or different colour stocks and with or without numbering, you can tailor these to your specific needs. Printed 1 Colour (1xPMS), one side only, onto NCR stock. 100 sets per pad. Glued on short edge with grey backing board. Prices are subject to VAT. Standard stock colours are white, yellow and pink (top, middle, bottom). If you would like alternative colours just let us know. If you would like prices for 2 or 4 colour then please get in touch for a bespoke quote. Sequential numbering is red as standard.